I thought I knew baseball. From participating in the sport for 17 years, from the family trips to the Philadelphia Phillies games, to the countless Little League games, to even video games, I have always in some way been involved in baseball. I’ve hit thousands of baseballs. I’ve played on school teams, summer teams, fall teams and multiple teams at a time. Baseball has always been a part of my life. I thought I knew baseball. 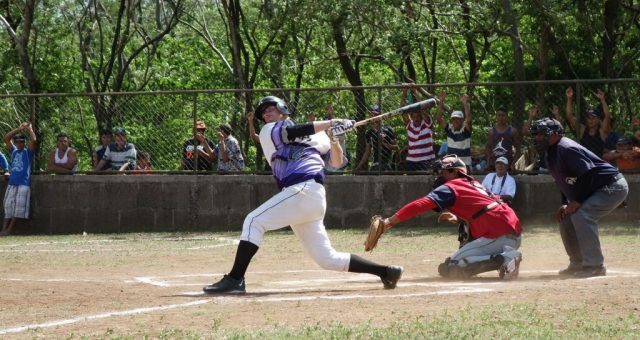 But then, in May 2016, I visited Nicaragua with the Goshen College Baseball team. I can hardly remember a more life-changing opportunity. Being able to see baseball culture in a different country was eye opening and learning from those people was humbling. I thought I knew baseball. I swear I did. What I experienced in Nicaragua, though, taught me so much more about the game itself and life in general. I thought having a serious, completely focused mindset going into each game was going to help me play better against the teams. That’s the same type of mindset I use when I play collegiately. I quickly realized that I could be more relaxed because of the opposing teams culture. Baseball has a rather definitive culture of its own, one that can be outgoing, vocal, superstitious and sometimes cocky. The teams we played, though, gave the game and us a lot of respect. They played the game hard. They were friendly with our team and talked with us after the game over snacks. They treated us with respect on their home fields and gave us great competition. I thought the playing conditions mattered, and they do to an extent, but it doesn’t change the sport. While in Nicaragua, we played six games and the quality of each field we played on varied. Our second game may have been the worst field we played on during our trip. There was no dirt in the field, no real bases, dry grass, soccer goals in the outfield and horse poop scattered throughout the playing surface. To an American collegiate baseball team, this was not the norm. And yet, the game wasn’t different. It was still baseball and there was still a team itching to play us. Aside from needing to avoid some “dirt” spots in the field, we highly enjoyed playing the game and the tough competition and won 4-3. I realized then that the playing conditions in the game of baseball don’t matter, rather the integrity at which the game is played that does. I thought for sure I knew baseball until we made our last field trip to El Lagartillo. I was expecting to go into this town of 100-plus people and beat up on their baseball team. How wrong I was. This team was one I haven’t seen before. They were not only talented but they respected the game of baseball. For example, their catcher’s glove broke in the second inning of the game. Instead of asking our team to borrow one of our gloves, the backup catcher gave his glove up to his teammate and proceeded to fix the torn glove on the bench. They didn’t ask for one of our gloves, unlike a team we played prior who asked if they could use all of our equipment. The team from El Lagartillo respected the game, our coaches and our players. They also had a large support group as villagers came from out of the trees to watch the game. It came as no surprise when they beat us by three runs. Overall, this team and experience opened my eyes to a bigger meaning in life through baseball. This team overcame a war on their own land and still played the game of baseball with all their effort and respect towards the game. There were many occasions where I found out that baseball has helped me view someone or something differently for the better in Nicaragua. For the team in El Lagartillo, baseball seemed to be everything they had and it reflected positively on their play. I thought I knew the game of baseball. Then I found out how much more it had to offer.